The UA Faculty Fellows in Service-Learning program is a one-year fellowship designed to help faculty create service learning opportunities that promote citizenship, social responsibility, and community engagement. Sponsored by the Center for Ethics and Social Responsibility, the program aims to thoughtfully and intentionally integrate the philosophy, pedagogy, and process of service learning into the UA academic environment. Fellows participate in three workshops per semester, each focusing on an aspect of service-learning pedagogy. They also receive an enhancement grant to design a new course or modify an existing one to include a service-learning component. Below are some of the recent service-learning courses by A&S faculty. Learn more about service-learning programs on the CESR website and our faculty blog. Advanced Grammar & Composition (SP 356) helps students improve their Spanish language skills via traditional grammatical activities, bilingual translation for community non-profits, and reflective essays which hone the knowledge learned through service experiences. Students translate texts for Druid City Garden Project, Good Samaritan Clinic, and Turning Point; these translated texts range from educational materials and clinic patient information forms to brochures and guidelines for victims of domestic violence, helping ensure that Spanish-speaking community members have access to necessary information and services from local non-profits. Anatomy & Physiology of the Speech and Hearing Mechanism (CD 275) promotes undergraduate research while offering students an in-depth look at specific diagnoses and the speech, language, hearing and swallowing consequences of those diagnoses. Through the quality-enhancement initiatives of The University of Alabama’s Speech and Hearing Center, students participate in a retrospective, descriptive analysis to understand the speech, language, hearing and swallowing needs of individuals served by this West Alabama clinic. Their research helps the center better serve these patients. Anthropology is Elementary: Teaching Anthropology in Primary and Secondary Settings (ANT 450) introduces college students to applied anthropology by giving them the opportunity to design and teach the curriculum to elementary- and middle-school students. 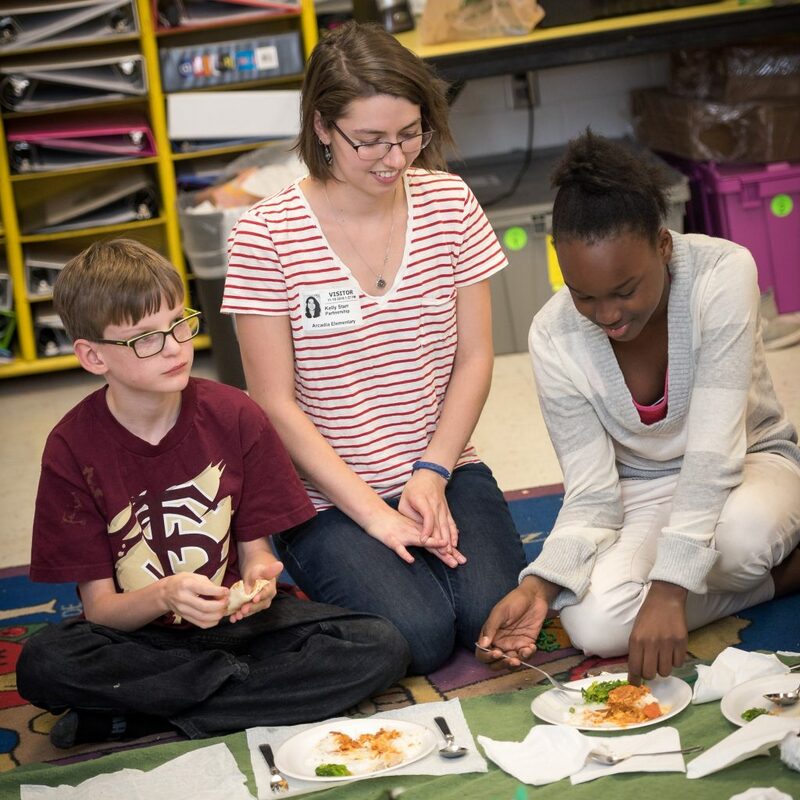 As part of partnerships between The University of Alabama and Tuscaloosa Magnet Schools – Elementary and Middle and Arcadia Elementary, Anthropology is Elementary trains graduate and undergraduate students while providing a service to the Tuscaloosa community. Biology of Cancer (BSC 422/522) is a cooperative learning experience meant to be an introduction to the biological principals that explain the origins, development, pathology, and treatment of cancer. As part of the course, students engage in service-learning by collecting data on national, state, and county cancer rates and forms for the Tuscaloosa Environmental Digital (TED) website. The class also partners with Black Warrior Riverkeeper to collect water samples from companies that discharge materials into the river and analyze the samples using Mass Spectrometry. Students present data regarding any chemicals/toxins present in the samples to the Black Warrior Riverkeeper and relate data to their assigned cancers. 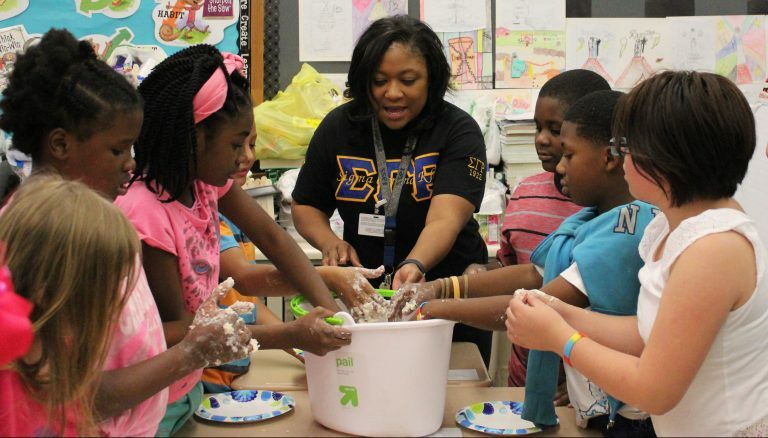 Biology Outreach is being developed as an Honors service-learning course that explores the interplay of race and gender with STEM education access while providing enriching hands-on biology experiences and young adult role models through outreach to local middle school biology classes. Cooperation & Conflict: The Politics of Indifference (NEW 237) encourages students to investigate and seek solutions to contemporary social problems. Students investigate issues pertaining to poverty, immigration, and inequality through directed readings, deliberative classroom discussions, and active learning. This course offers undergraduate students the opportunity to address the feeling of inability to create positive change and enables them to find focus through working towards a proactive goal with a community partner. Students will tutor Hispanic children in Tuscaloosa County and help Spanish-speaking parents learning ESL. Honors Cooperation and Conflict (NEW 238) students lead workshops in elementary schools through the organization Arts Renaissance in Tuscaloosa Schools (ARTS). 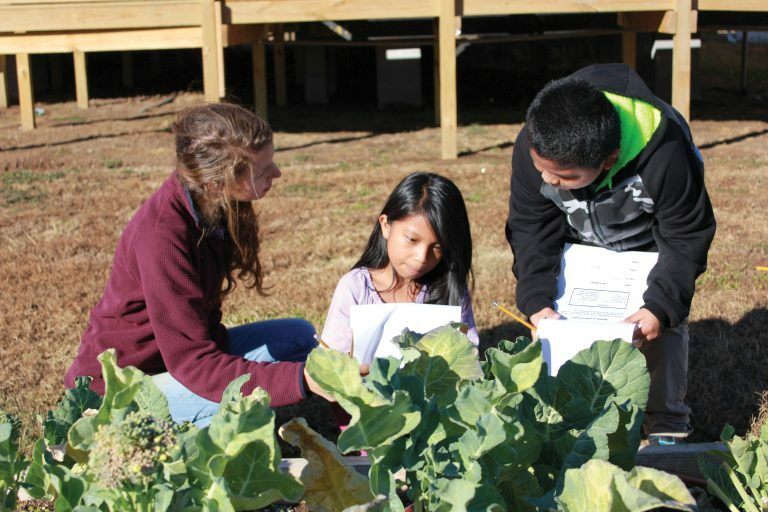 Students hold hour-long workshops at University Place Elementary School in Tuscaloosa and Matthews Elementary School in nearby Northport, Ala. Depending on teachers’ preferences and the activity, a UA group can work with an entire grade in a large space like a lunchroom or with one class at a time. The NEW 238 students work in teams to plan and carry out the workshops, and each team of UA students conducts a workshop at least once a month. Food For Thought (NEW 211) is an introductory seminar in the humanities on food studies. By the end of the course, students will have a grasp of the current food debates in America today over environmental, socio-cultural, and health impacts on how and what we eat and how our food is produced. They will be better able to discuss how and why food matters. Students will relate these larger debates in contemporary America to their own family food traditions and their personal food choices. They will think through critically and creatively their own relationship to food and what they would ideally like that relationship to be—in terms of personal health, aesthetic pleasure, ethical choice, and consumer impact. Students will gain increased expertise in core humanities and liberal arts critical thinking skills of community engagement, leadership, writing, discussion/debate, analytical reading, creativity, and media literacy. Forest History and Restoration (GY 409/509) provides information on the theoretical foundation of restoration ecology, tools and techniques used to reconstruct prior ecosystem states, methods to develop restoration targets and monitoring plans and silvicultural prescriptions used to achieve desired future conditions. Students in the Fall 2013 class worked with the Freshwater Land Trust to create a restoration plan for one of its properties, and students in the Spring 2015 course partnered with the Talladega National Forest to prepare an environmental assessment for an upcoming restoration project. 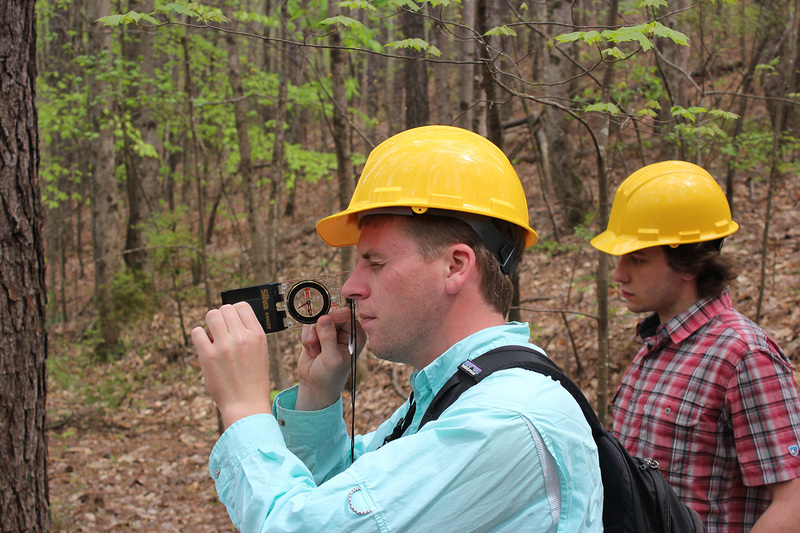 Forest Measurement and Analysis (GY 494) provides students with a theoretical foundation and practical experiences in quantifying tree-, stand- and forest-level attributes. Students partner with USDA Forest Service personnel to collect and analyze datasets in the Oakmulgee District of the Talladega National Forest and prepare technical reports for the Forest Service. To successfully complete the course, students must demonstrate proficiency in field sampling and analytical methods used in forest science and management. Students also train under the direction of the Talladega National Forest fire management officer to work with prescribed fire. Interdisciplinary Science (NEW 243) is based in large part on an interdisciplinary scientific exploration through reading and class discussion as well as on interactive, field-based scientific activities. 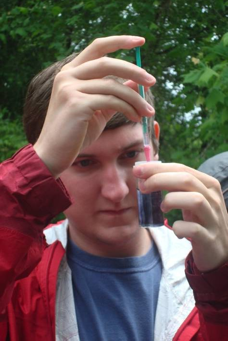 Students engage in independent water-quality monitoring of the Black Warrior River throughout the semester. They gather, organize and analyze findings and share them through the Scientific American Citizen Science program and with local advocacy groups such as Black Warrior Riverkeeper. Medical Sociology: Health Care Disparity, Poverty, and Social Justice (SOC 471) addresses patterns of health and illness in modern society. The course covers three fundamental points: how society shapes individual understandings of what it means to be healthy, how people behave when they are ill and how society produces different patterns of health and illness. Students will volunteer with FocusFirst to conduct vision screenings of children at childcare centers in low-income areas. Music Therapy Practicum (MUS 382) provides music therapy students supervised experience in facilitating music therapy sessions in local community agencies. This encompasses assessment, program planning, implementation, documentation, and evaluation of music therapy services. Students work closely with local agencies to provide services that enhance the mission statement of the agency as well as feedback regarding the outcomes of their services. 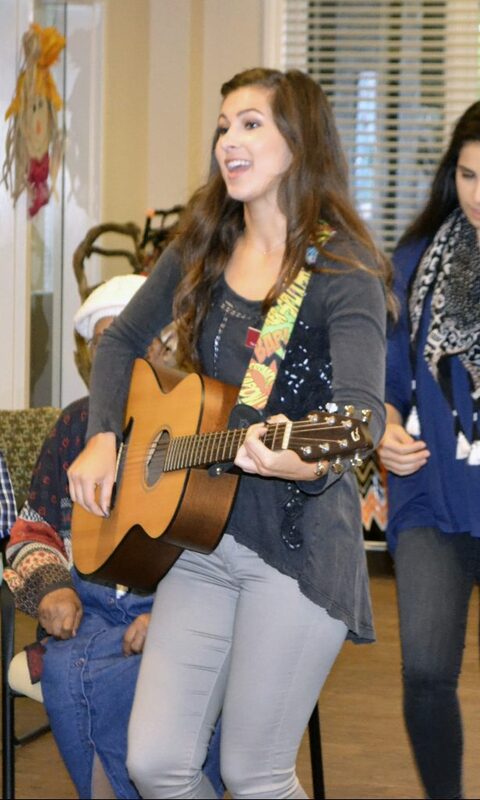 Music Therapy Practicum (MUS 282) offers music therapy students an experience in facilitating music therapy sessions at Caring Days, where students serve older adults with memory problems, as well as the chance to observe other populations in music therapy sessions. Across two semesters of MUS 282, students develop group leadership skills in singing and accompanying with guitar, build a repertoire of appropriate songs, and practice appropriate interaction skills with those served, their families, the staff, classmates, and the professor. Skilled Vision & Latin American Indigeneity is being developed as a 400-level Spanish study abroad course that will teach students how to develop and apply skilled vision when approaching films on Indigenous cultures from Andean countries in Latin America. By using Indigenous films to train students to identify cinematographic and narrative patterns, discourses, and symbols specific to Indigenous cultures represented on screen, the students will undergo a rehabilitation of their vision, requiring them to strive to see the world through the perspective of Indigenous people. Students will travel to Peru, where they will apply skilled vision while serving an Indigenous audiovisual initiative. Social Justice in Practice (PHL 231), an optional supplement for students concurrently enrolled in PHL 230 Political Philosophy, gives students the opportunity to develop a deeper understanding of social justice through regular participation in a community-based project involving disadvantaged and/or marginalized populations. In Political Philosophy, students consider the role that democracy, freedom, rights and equality play in their understanding of a just society. They engage in philosophical debates about immigration, poverty, political participation and socioeconomic inequality. Social Justice in Practice gives students a chance to see those debates playing out in the community. Watershed Management Plan Development (GY 370) is an intensive, three-week interim class that requires students to draft a watershed management plan and/or a source water protection plan for a rural water supply or sub-watershed. Students participate in field programs led by professionals from local and state government agencies and nonprofits. These field programs ensure students collect and compile the data necessary to draft working plans. The preparation of watershed management plans is the first step in managing water resources. Many rural communities lack the necessary funding and expertise to prepare these documents. Water is humanity’s most critical resource, and students perform essential service by assisting communities in protecting their water supplies.